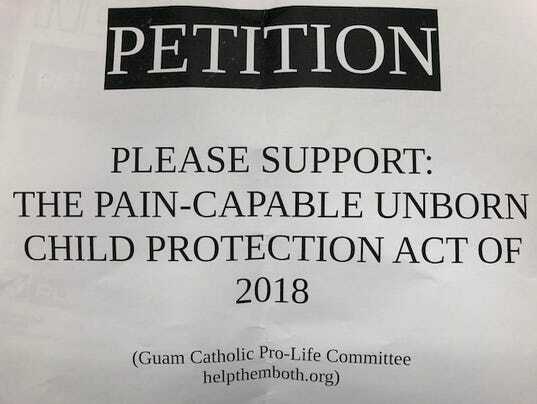 "The decision to continue or end a pregnancy is one that must be made by a woman in consultation with those she trusts - not by the government of Guam. The United States Supreme Court has long recognized as much in Roe v. Wade, 410 U.S. 113, 163-64 (1973), the Court held that: (1) a state may never ban abortion prior to fetal viability-that is, before the fetus has reasonable likelihood of sustained survival outside the woman’s body; and (2) a state many ban abortion after viability only if there are adequate exceptions to protect a woman’s life and health." With respect to the State's important and legitimate interest in the health of the mother, the "compelling" point, in the light of present medical knowledge, is at approximately the end of the first trimester. This is so because of the now-established medical fact, referred to above at 149, that, until the end of the first trimester mortality in abortion may be less than mortality in normal childbirth. It follows that, from and after this point, a State may regulate the abortion procedure to the extent that the regulation reasonably relates to the preservation and protection of maternal health. Examples of permissible state regulation in this area are requirements as to the qualifications of the person who is to perform the abortion; as to the licensure of that person; as to the facility in which the procedure is to be performed, that is, whether it must be a hospital or may be a clinic or some other place of less-than-hospital status; as to the licensing of the facility; and the like. Arriola claims that Roe gives the woman the right to decide "to continue or end a pregnancy," and further posits that the government has no role in that decision. However, nowhere in the referenced pages do we see any mention of a woman's right to to decide "to continue or end a pregnancy." Rather, Roe, here, makes the case for the "State's important and legitimate interest in potential life," after the pregnancy reaches "the compelling point" (viability), and further states that "it (the government) may go so far as to proscribe abortion..."
And even prior to "the compelling point," the decision belongs not to the woman but to "the attending physician:"
"...for the period of pregnancy prior to this "compelling" point, the attending physician, in consultation with his patient, is free to determine, without regulation by the State, that, in his medical judgment, the patient's pregnancy should be terminated." Note that Roe assumes that it is the attending physician who is consulting with the woman and not, as Arriola says, "a woman in consultation with those she trusts," (obviously) the attending physician, in whose "medical judgement" Roe leaves the decision to terminate the patient's pregnancy. This conclusion makes it unnecessary for us to consider the additional challenge to the Texas statute asserted on grounds of vagueness. See United States v. Vuitch, 402 U.S. at 67-72. "...a State may properly assert important interests in safeguarding health, in maintaining medical standards, and in protecting potential life. At some point in pregnancy, these respective interests become sufficiently compelling to sustain regulation of the factors that govern the abortion decision. The privacy right involved, therefore, cannot be said to be absolute. In fact, it is not clear to us that the claim asserted by some amici that one has an unlimited right to do with one's body as one pleases bears a close relationship to the right of privacy previously articulated in the Court's decisions. The Court has refused to recognize an unlimited right of this kind in the past. Jacobson v. Massachusetts, 197 U. S. 11 (1905) (vaccination); Buck v. Bell, 274 U. S. 200 (1927) ( sterilization). We, therefore, conclude that the right of personal privacy includes the abortion decision, but that this right is not unqualified, and must be considered against important state interests in regulation." "...it is reasonable and appropriate for a State to decide that, at some point in time another interest, that of health of the mother or that of potential human life, becomes significantly involved. The woman's privacy is no longer sole and any right of privacy she possesses must be measured accordingly." So not only does Roe state that the privacy right is NOT "absolute," it goes on to essentially defeat the "it's my body" argument. This post is also posted at The Esperansa Project website. Annuncio di Pasqua 2019: Ringraziate Jahvè perché "i catechisti che vi ha dato sono gli iniziatori del Cammino neocatecumenale nel mondo intero, siamo noi: Carmen, il padre Mario e io". Alleluja! Alleluja!